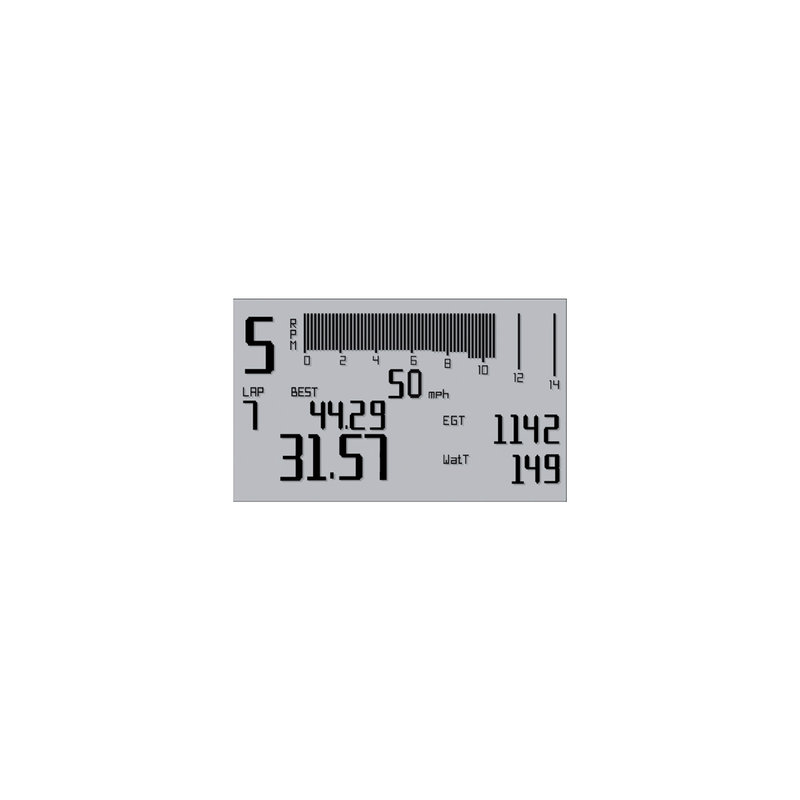 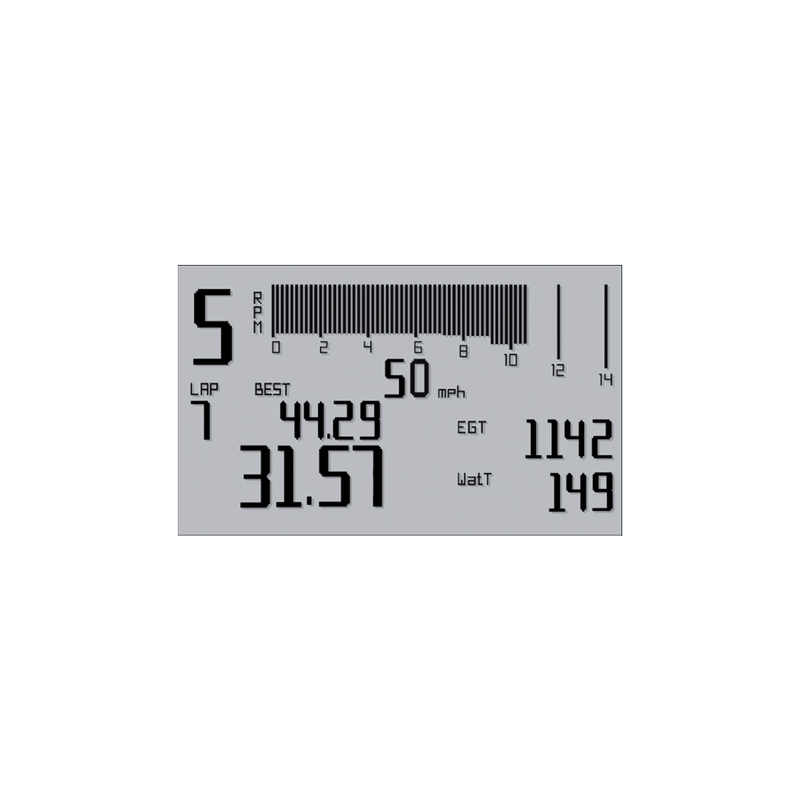 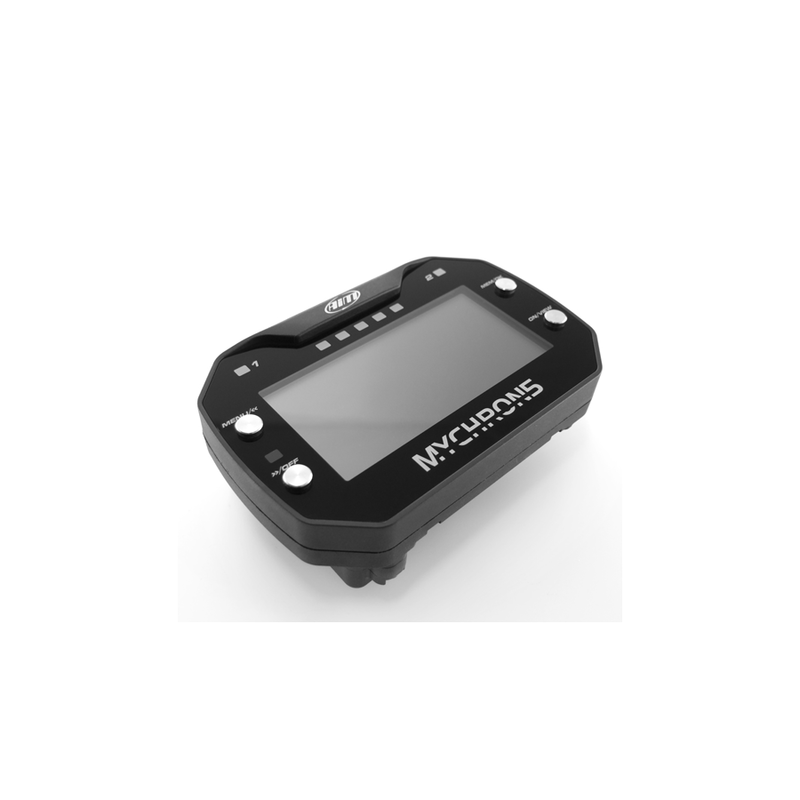 The Speed is gathered over the integrated GPS-Module, indicated on the display and can later with further GPS-channels, e.g. 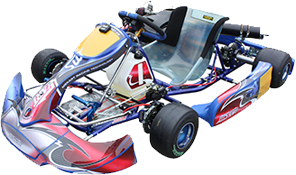 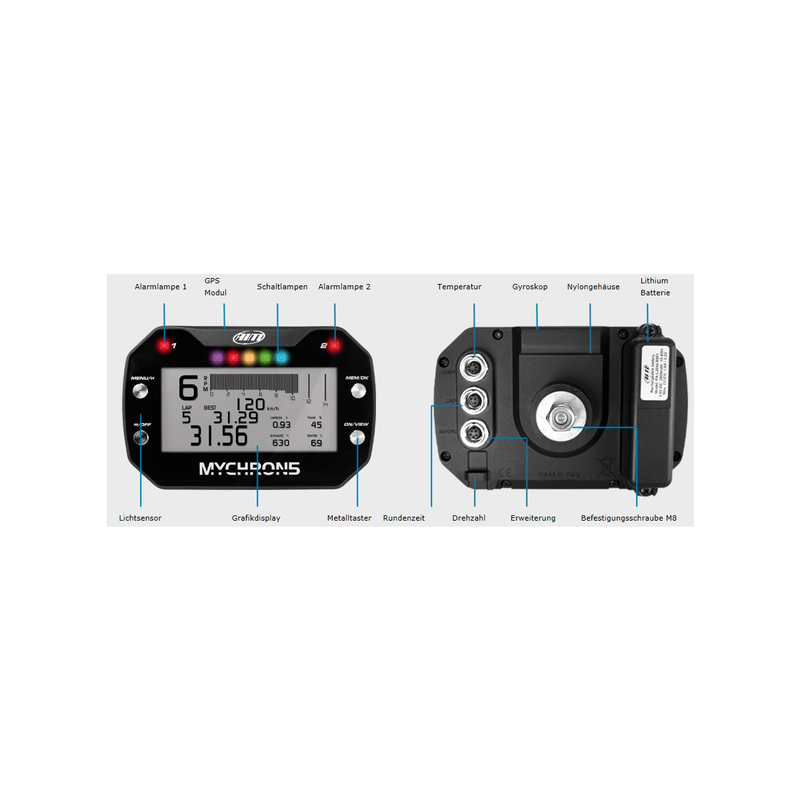 driven line, acceleration… be analyzed on the PC. 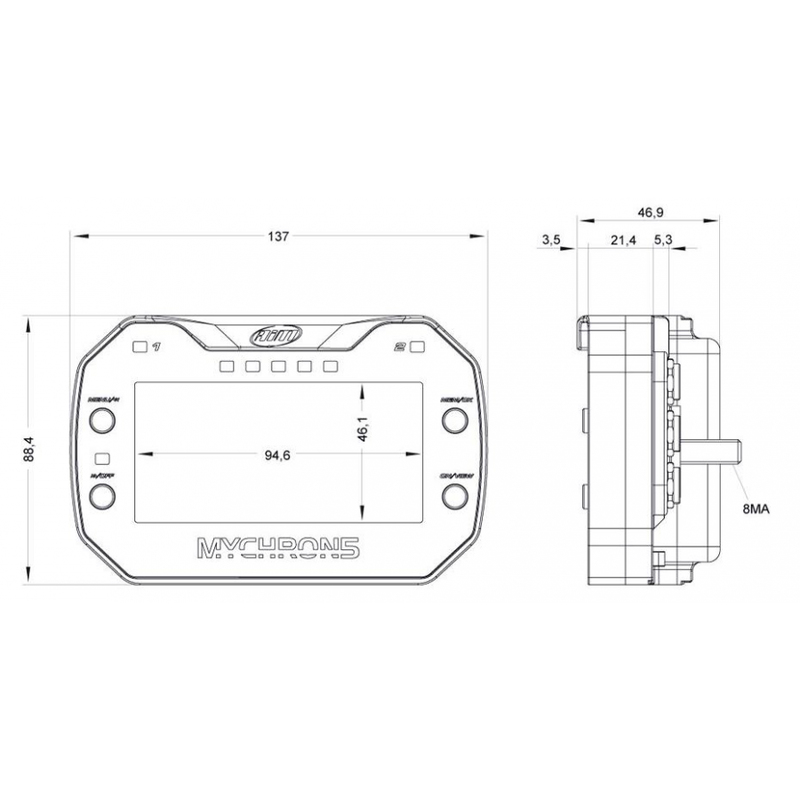 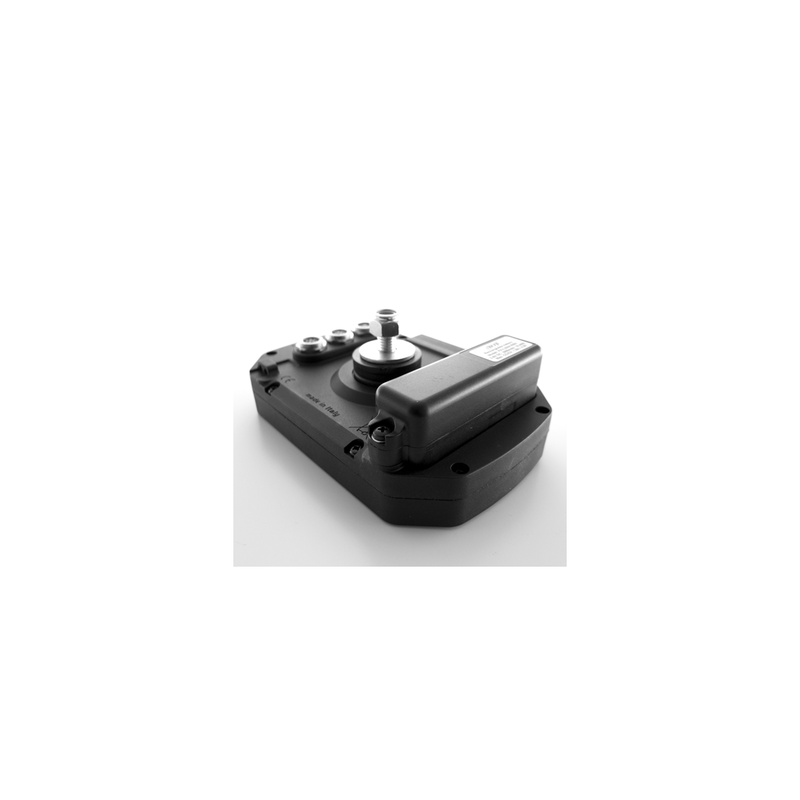 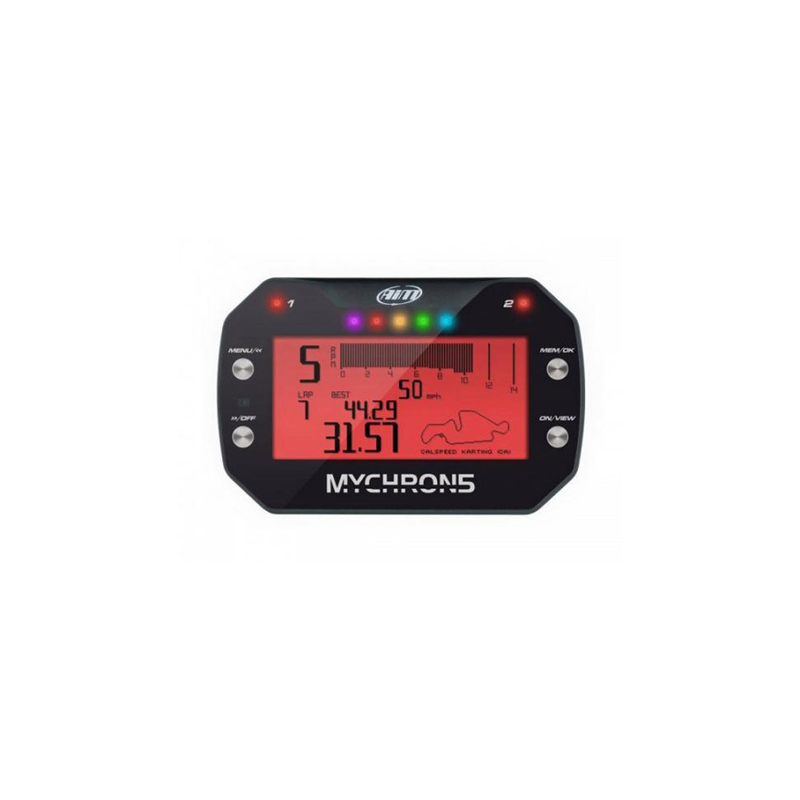 The screwed on Lithium battery supplies the MyChron5 ten hours with power and can then be either charged or swapped. 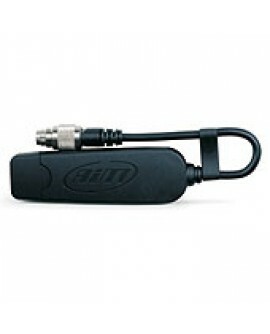 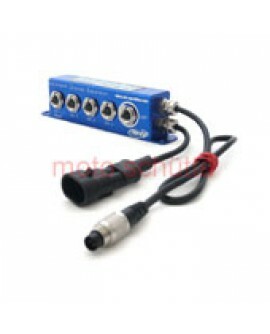 It also can be supplied by an external battery. 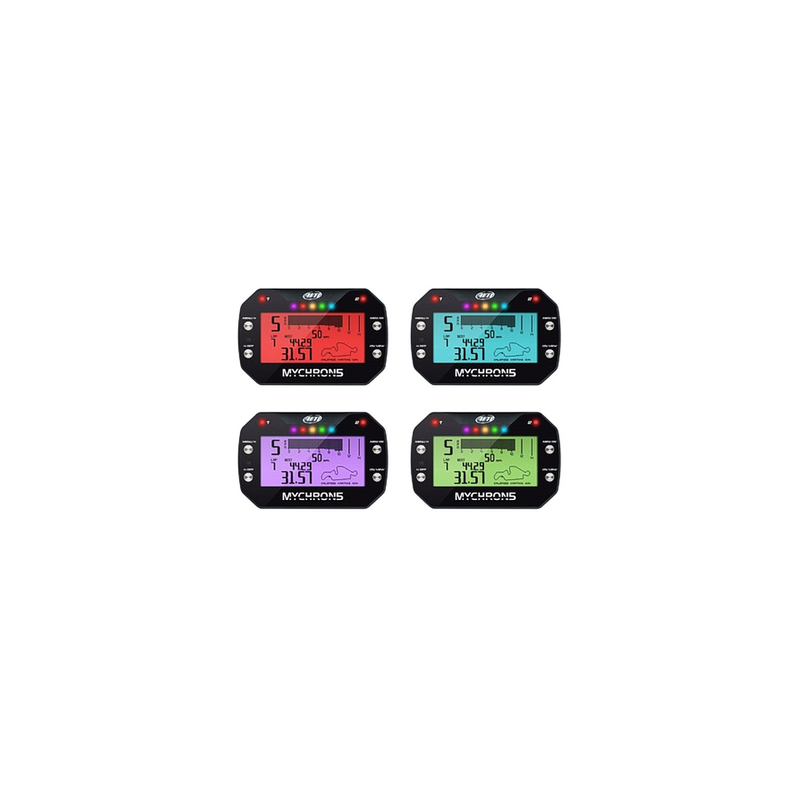 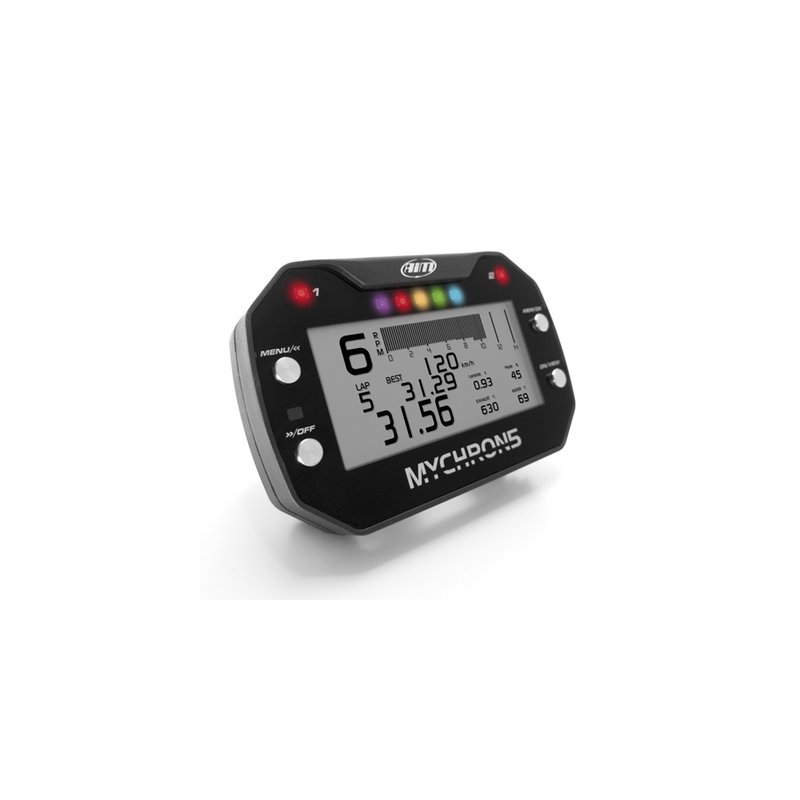 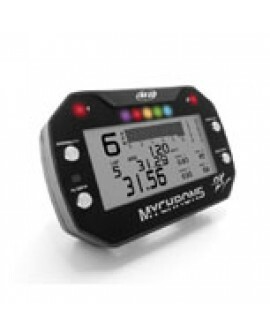 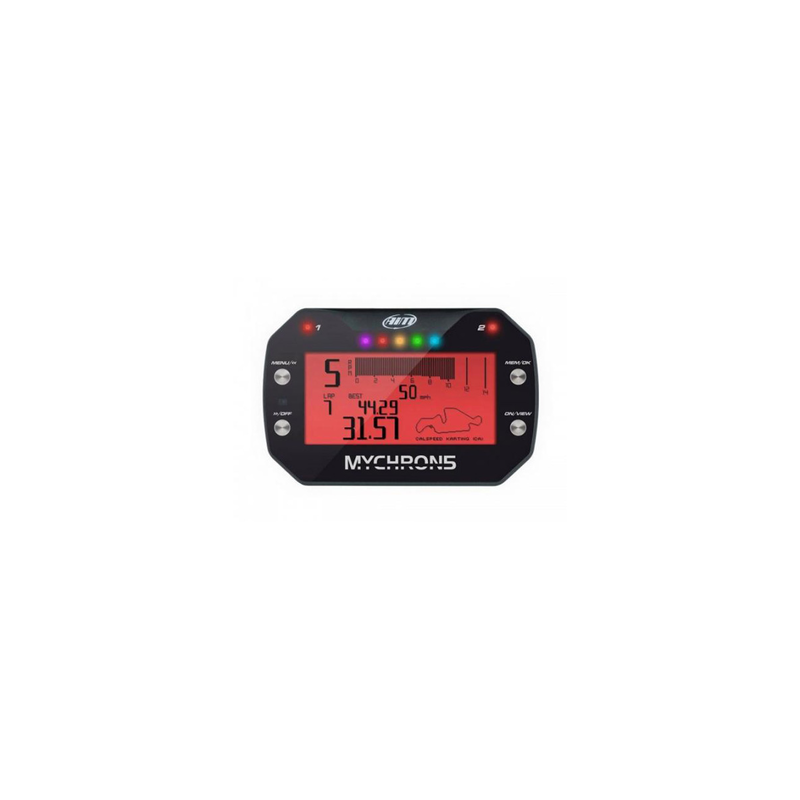 MyChron 5 has two in seven various colors configurable Alarm-LEDs and 5 Shift-LEDs. 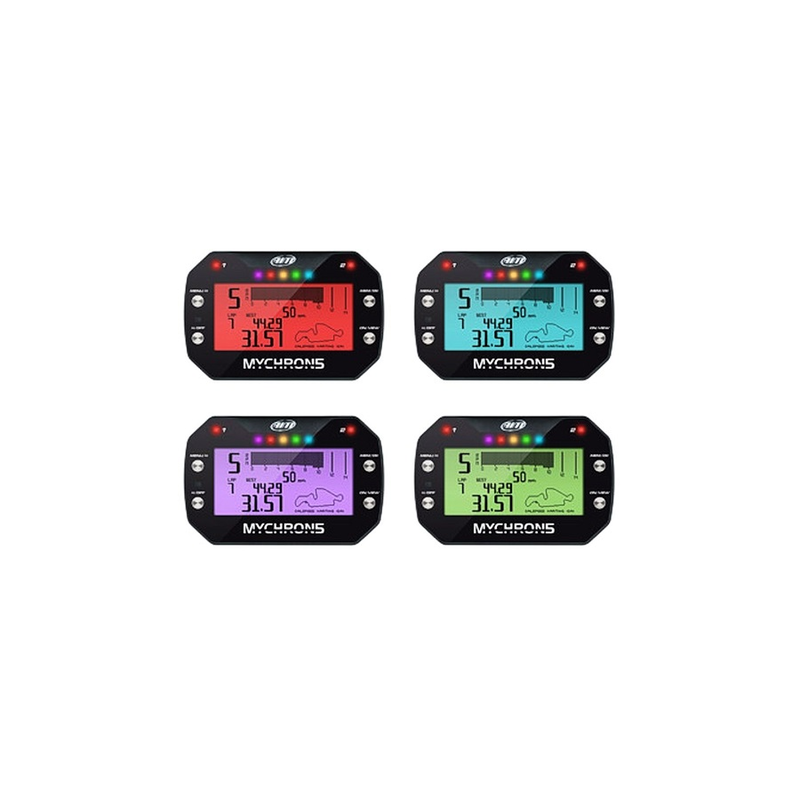 Both Alarm LEDs can be assigned to every arbitrary measurement and shift-LEDs can be set sequentially, in full group and gear-selective. 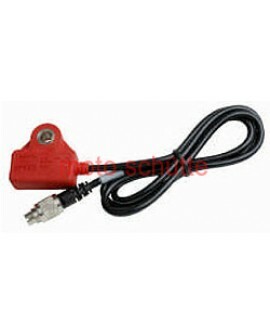 Over the WiFi-Connection the configurations can be transferred, the data downloaded or the measurements online checked. 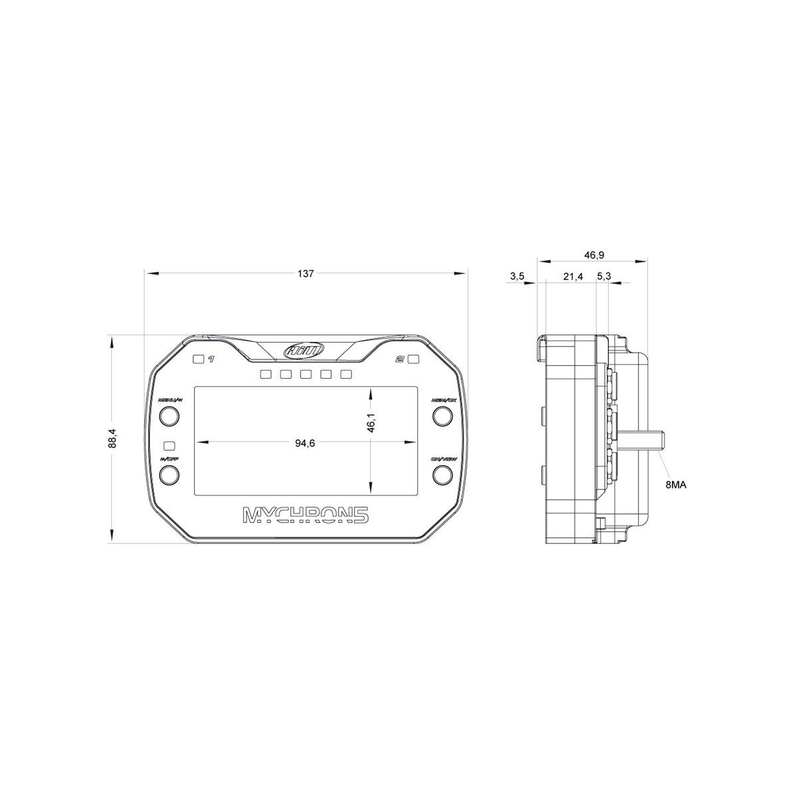 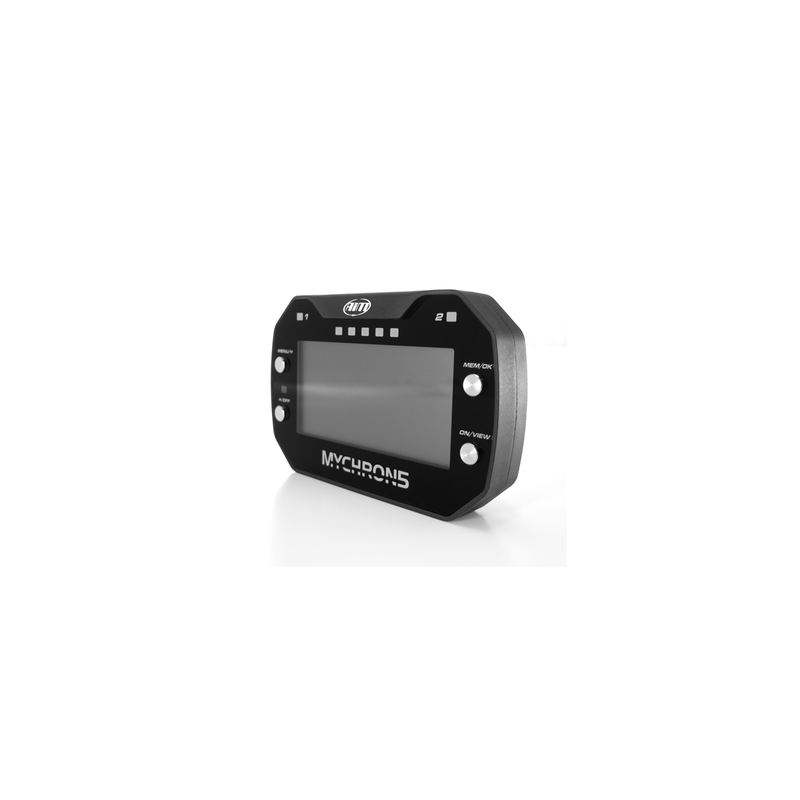 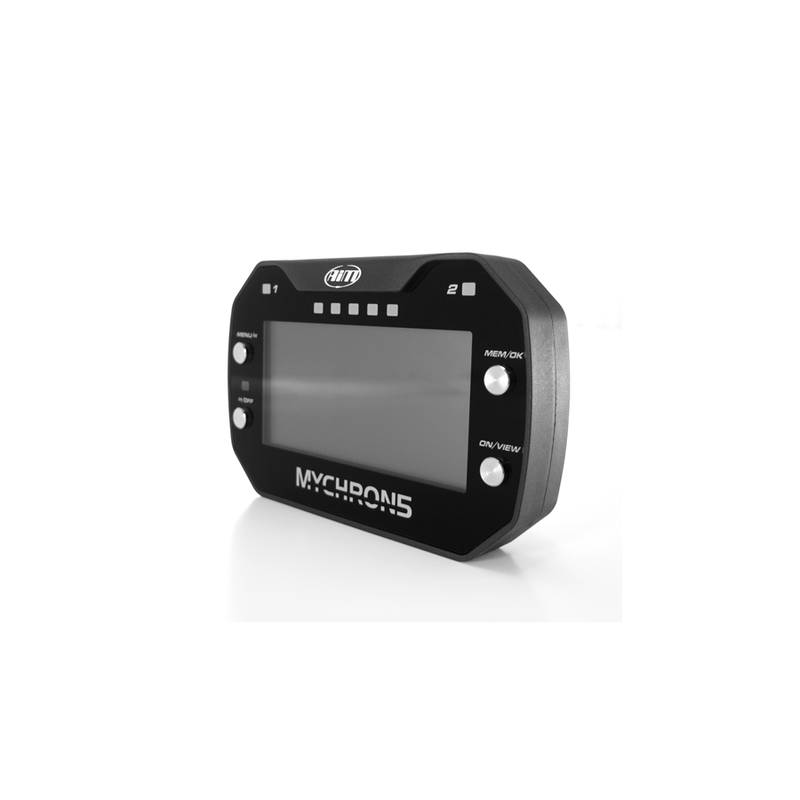 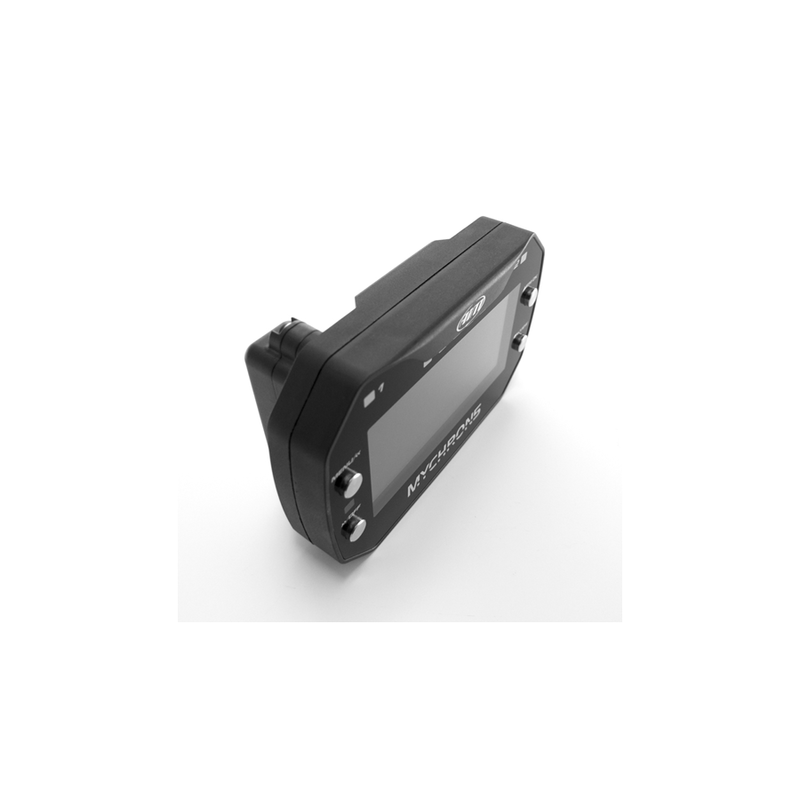 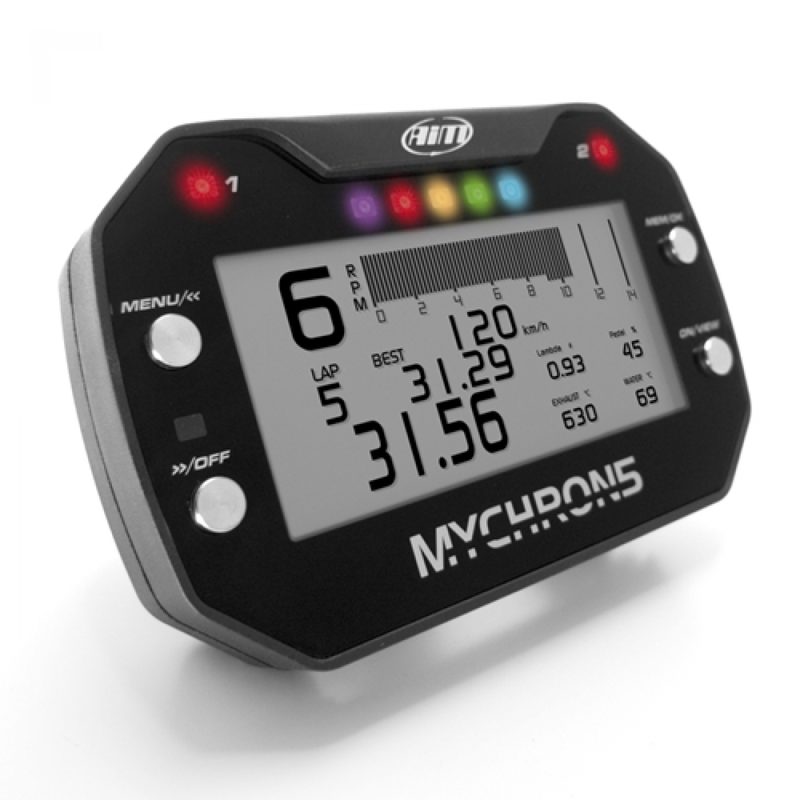 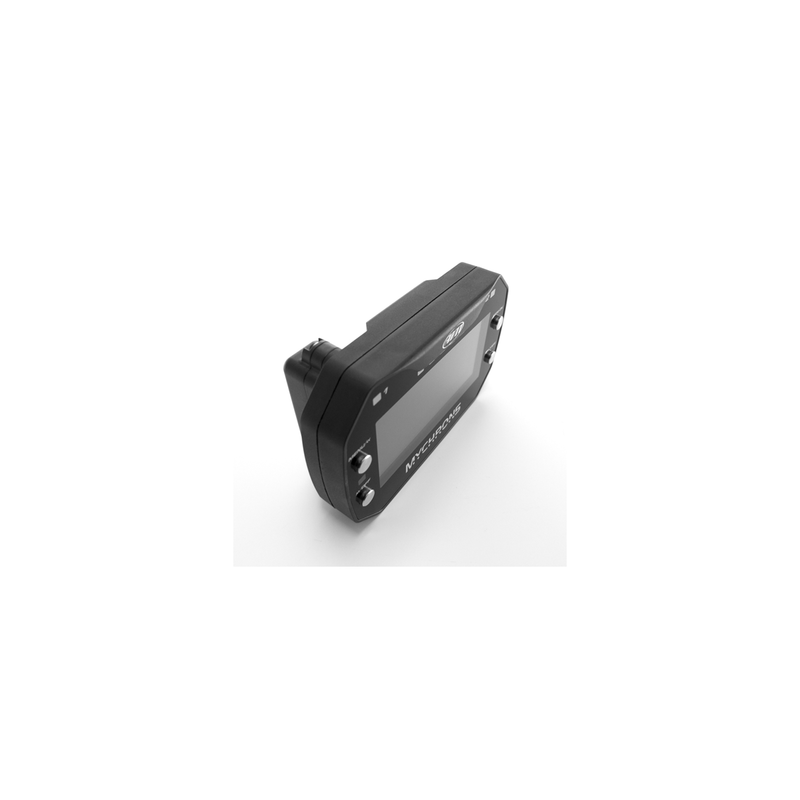 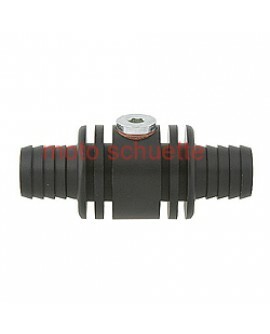 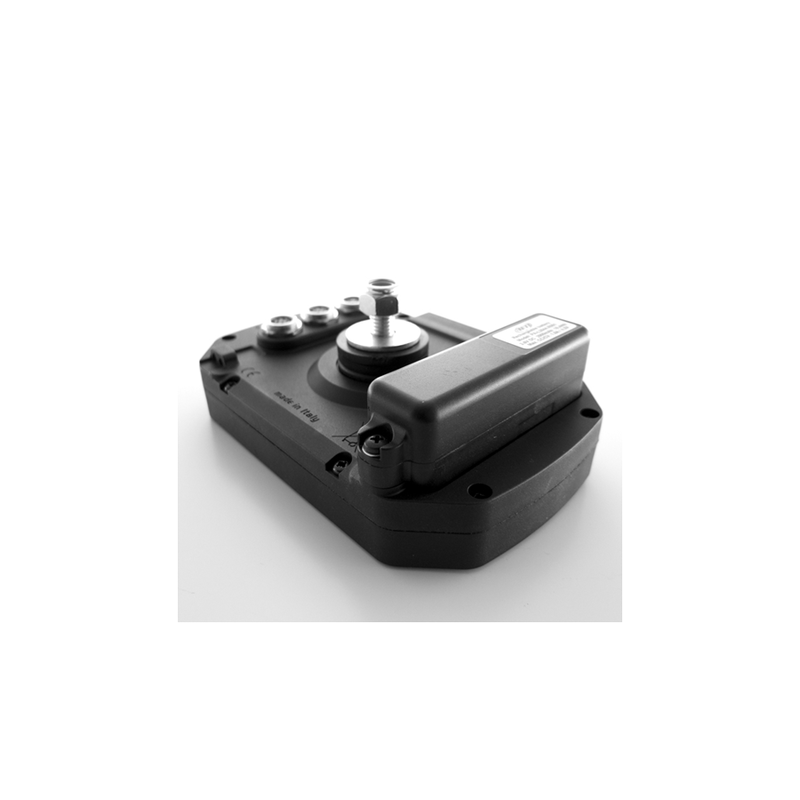 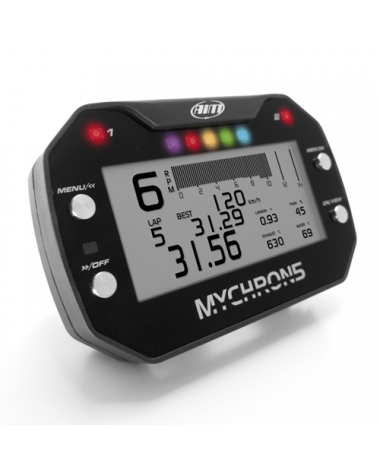 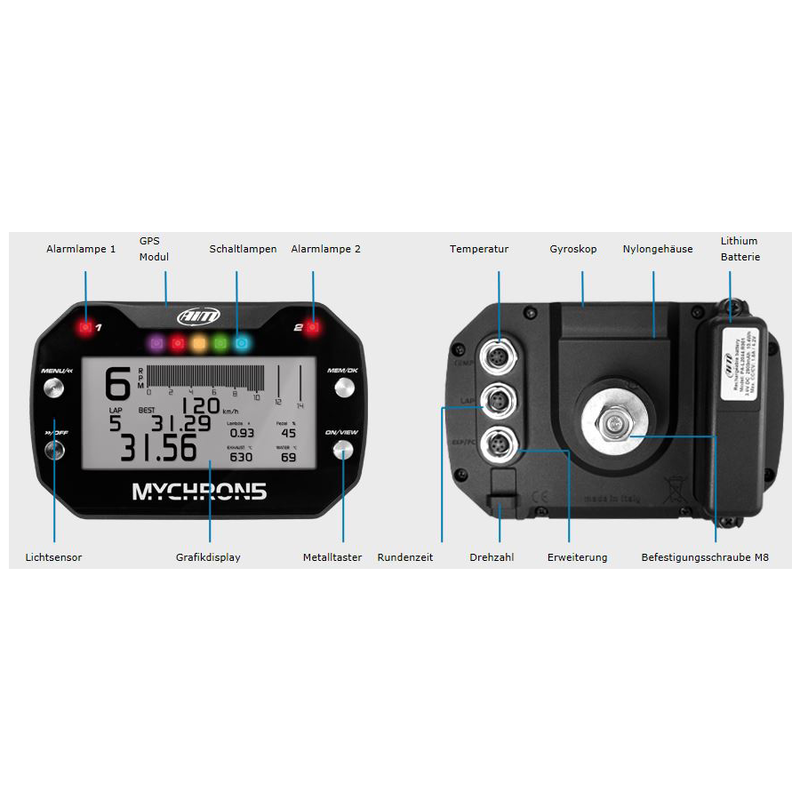 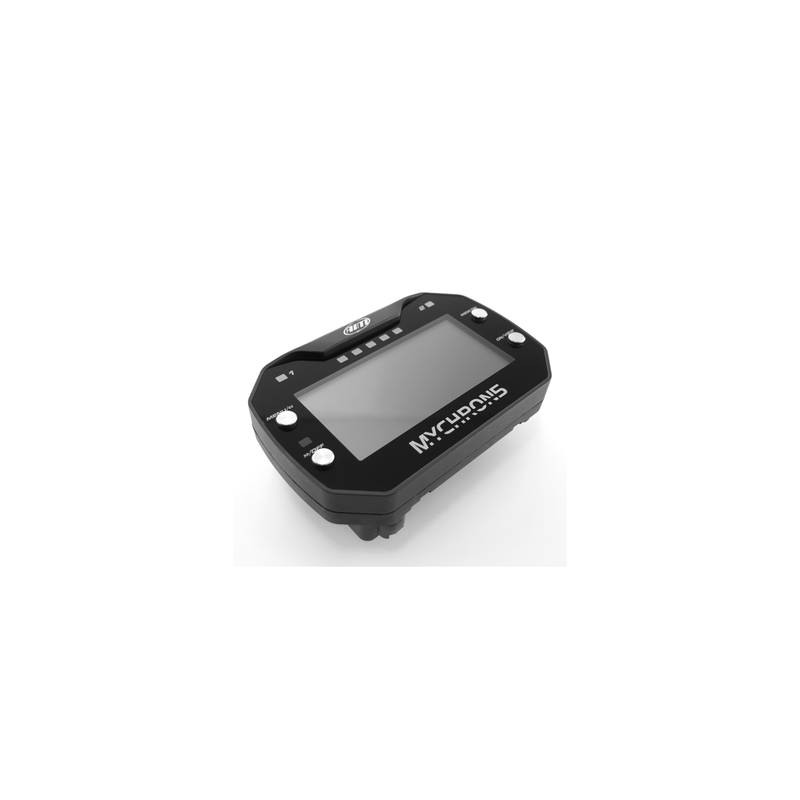 All sensors and cables from the MyChron4, as also MyChron- Expansion, Lambda-system and SmartyCam can also be used on the MyChron5.